After a good night's sleep we're feeling refreshed. We meet Timo in the lobby and have a quiet word with him about our expectations for our tour: no more shops, no more being handed off to "volunteers." Timo listens and agrees. 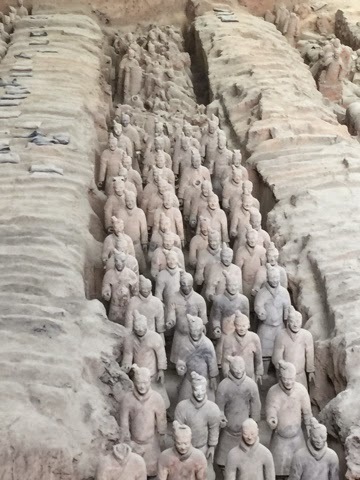 The Terracotta Warriors were only discovered in 1974, by a farmer digging a well. 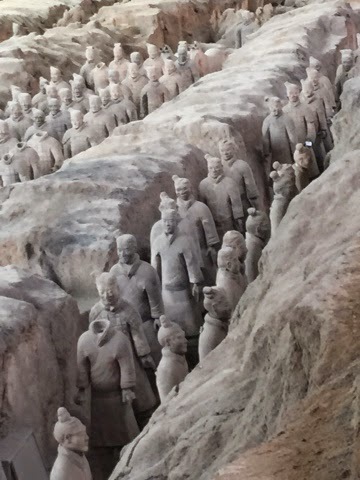 They were built as guardians of the tomb of the emperor who united China. 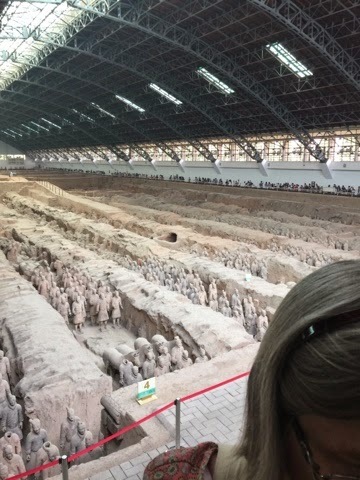 There are as many as 8,000 warriors, horses, and chariots. They are lined up in battle formation. 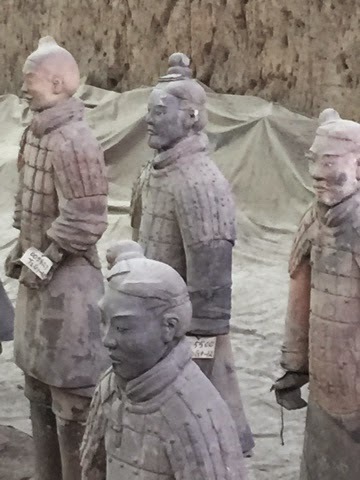 They are, of course, all meticulously reconstructed from the fragments found. There is probably a lot more to be unearthed, but scientists want to leave it covered until preservation technology improves. 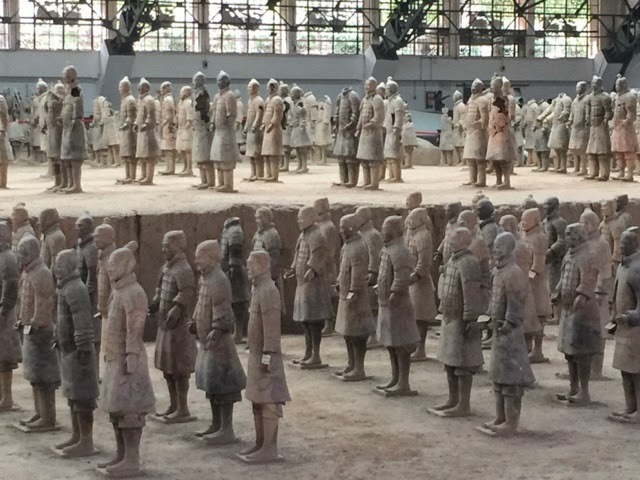 The exhibitions aren't as crowded as they might be and we have a lot of time to observe. It is amazing!